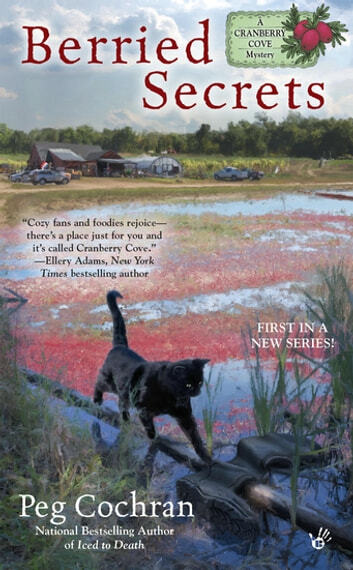 The small town of Cranberry Cove has a deadly harvest in the first mystery in this delightful series from the author of the Gourmet De-Lite Mysteries. It seems that Sam Culbert, who ran the farm while Jeff was deployed overseas, had some juicy secrets that soon prove fatal, and Jeff is ripe for the picking as a prime suspect. Forming an uneasy alliance with her high-maintenance stepmother, Monica has her hands full trying to save the farm while searching for a killer. Culbert made plenty of enemies in the quaint small town...but which one was desperate enough to kill? A wonderful start to a new series. 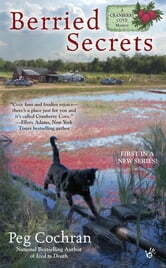 For a New Series by: Peg Cochran it was a fantastic book to read. You got the feeling that as a small town people will hop out no matter what the problem was. If Marci and Jeff can hold the farm together as they have done in the first book; then they can face anything that come their way. Marci didn't baby her brother he wanted too but she know that doing things for himself was important to him and Jeff didn't harp on Marci for losing her business but welcomed her to his cranberry farm and to stay and help run the farm. This is what family's do for each other. I give it 5 stars plus 100 more that's how good this book was. Can't wait to try all the recipes to.